If you've been out and about in your van during stormy weather, you’ll have noticed that big, tall, slab-sided vehicles don’t like strong winds very much. Fortunately, technology has the solution. A select few van manufacturers are now offering crosswind and side wind assistance systems, specifically designed to compensate for this kind of weather. This tech is mostly available on large vans, but Ford's Side Wind Stabilisation system was made standard equipment on Transit Customs in 2017 as well as the full-size Transit, while Mercedes-Benz has included similar tech on the latest Vito since launch in 2015. Here we’ve listed every van available with crosswind compensation right now, and explained how the different systems work. The technology only comes on more recently introduced vans, as you might expect, so it’s not a huge list yet. But we’ll certainly be seeing more of it in years to come. It's a similar story with autonomous emergency braking (AEB), which has been fitted as standard on VW vans sold in the UK since June 2017. In the meantime, these are the side-wind assist equipped vans you can buy now. Ford’s Side Wind Stabilisation was introduced alongside the 2.0-litre EcoBlue diesel engine in mid-2016, and is now fitted as standard equipment on all Transits and Transit Customs. Ford developed the system in-house, and it works by ‘carefully’ applying the brakes on one side of the van, helping you to keep it in lane. It’s automatically activated at speeds of 50mph and above, and can react within 200 milliseconds. That’s apparently the time it takes a sprinter to react to a starting pistol. Side Wind Stabilisation was tested on a special test track equipped with fans capable of generating gusts up to 50mph, as well as on public roads in real windy conditions. The sensors that control the system are monitored 100 times a second. Talking of sprinters – Mercedes’ large van of the same name was the first to offer a side wind stability system. Called Crosswind Assist, it launched in 2013 and was extended to more models in the range in 2014. 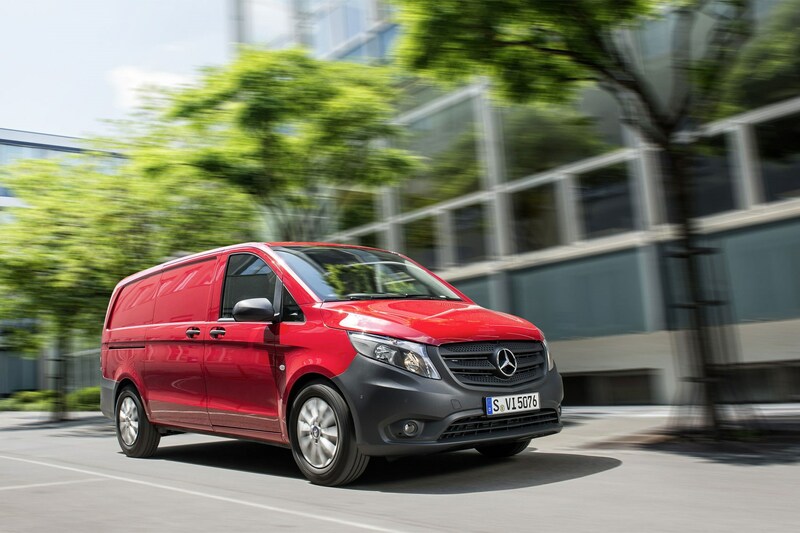 Now it’s standard-fit on all 3.5t Sprinters (though there are some equipment combinations that don’t work with it), while the latest version of Mercedes' mid-size model, the Vito, has been fitted with it across the range since launch in 2015. It works in a similar manner to the Ford system, by using the brakes, but even helps counteract unexpected draughts created by passing lorries. For more details on the system click here. The latest VW Crafter also features a crosswind assistant as standard, but its system works in a slightly different way. As the first large van to feature electromechanical power steering assistance (in place of the more conventional but less fuel-efficient hydraulic systems), the Crafter can actually apply tiny automatic steering corrections to counter the effect of strong winds. Whether this is a better solution than using the brakes remains to be seen but it will at least prevent additional wear on your brake pads. And it definitely works as we've felt it in action from behind the wheel of our long-term test vehicle. 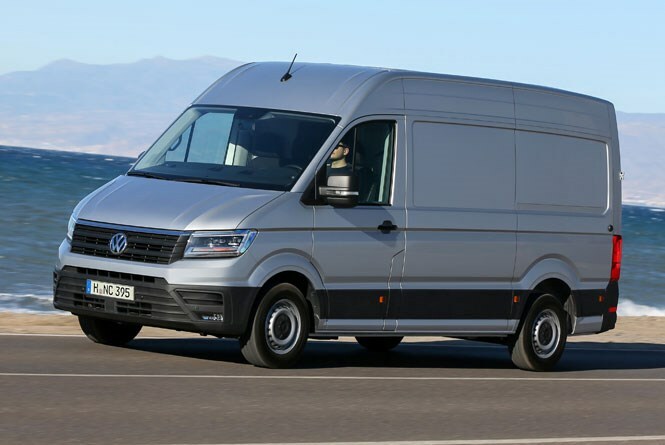 The latest Volkswagen Crafter’s lesser-known twin, the MAN TGE, is also fitted with Crosswind Assist as standard in the UK. Since this is exactly the same van but with a different badge on the front, you won't be surprised to learn its side-wind stabilisation works in exactly the same way – via the steering rather than the brakes.